Does Wilmer Flores Have The Yips? 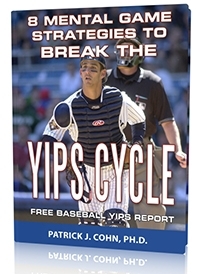 Baseball players sense great pressure when battling a bout of the yips. 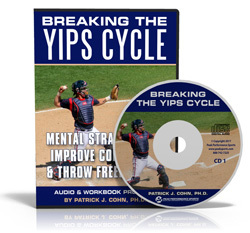 The throwing yips don’t just affect one player (you) but often can change the outcome of a game for an entire team. With the weight of the team on your shoulders, there is even more pressure on you to make the perfect throw because you believe that one errant throw can be the game-changer, the break the opposing team needs to mount a rally or the insurance runs that seal the game for the other team. 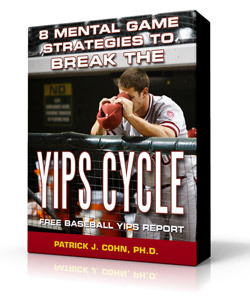 When you perceive a increased amount of pressure, the chances of you continuing to yip increase dramatically. It is important to realize that this heightened sense of pressure is fabricated in your mind. When you direct your attention to all these negative thoughts, you are basically feeding the yips. Negative thoughts are the fertilizer that allows anxiety to grow. 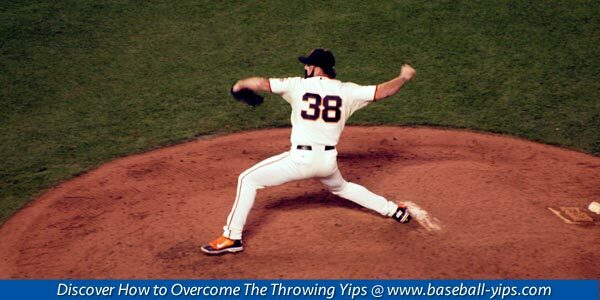 Throwing a ball when you are over-anxious interferes with fluid, unconscious throwing mechanics and is the root cause of the yips. Wilmer Flores, shortstop for the New York Mets, put tremendous pressure on himself at the start of the 2015 season leading to some “out-of-character” errors. Flores was a sure-handed infielder who split time between second base and shortstop during parts of the 2013 and 2014 seasons. In 99 games during his first two seasons, Flores made only seven errors. In 2015, Flores was named the regular season starter and, with his new team role, the stakes to perform were raised. In 103 games at shortstop in 2015, Flores doubled his amount of errors (14) from his previous seasons. Four games into the season, Flores already appeared flustered in the field making three throwing errors and two other errant throws at were saved by the first baseman. Manager Terry Collins talked about how errant throws could be the difference between winning and losing. Collins didn’t feel that Flores had the full-blown yips but did so in a cautionary manner. Collins was alluding that the yips did not have Flores in its grips. Nonetheless, Flores errors were in his head. Flores’ mechanics were fine; it was the buildup of pressure that affected his throws. Identify your optimal pressure level. From 1-10, what amount of pressure allows you to play your best. If you play best at a 4-5 range and you notice you are at a 7, your thoughts are probably the culprit. Redirect your thoughts to something that brings your level back down to that optimal range. Remember, you are directly in control of the pressure you experience… so you have the control to change it.